Now you know: when Andy Cohen claps back at you on Twitter, you’re going to get served. Following the reality TV producer and late-night host’s New Year’s Eve gig on CNN alongside friend Anderson Cooper, Cohen was trolled by multiple homophobic punks, only to clap back in spectacular fashion. This is the second year that Andy Cohen stood alongside CNN journalist Anderson Cooper on the news network’s New Year’s Eve Live countdown show. Cohen replaced comedian Kathy Griffin, who lost the gig after her scandal involving a pic of Donald Trump’s severed head. Last year saw several viewers upset with Cohen’s hosting duties, as many couldn’t help but reminisce over the days when Kathy Griffin was at the helm. And this year people are upset yet again, though many offering criticism are just flat-out homophobes. Case in point: Hollywood actor-tuned-right-wing mouthpiece James Woods, who shared a clip of Andy Cohen and Anderson Cooper doing a round of shots with the caption “Men in 2019…” which was intended as a dig on their femininity. Andy Cohen was most recently in the news when he announced on the set of his late-night show Watch What Happens Live that he is expecting a baby through a surrogate. On Monday night, during his New Year’s Eve telecast, he announced the child is a boy. “It’s a boy, and I cannot wait to meet this boy. I’m so excited,” he told Anderson Cooper. 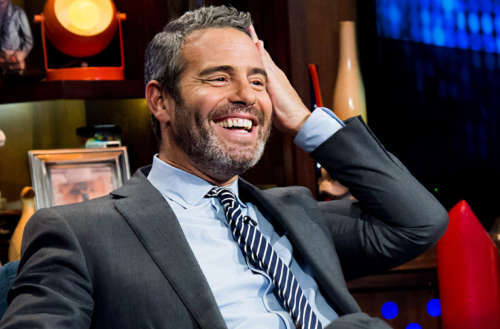 What do you think: Do you find it funny when Andy Cohen claps back?